New Seat Arona to rival Nissan Juke in 2017 | What Car? It has only been on sale for a few months, but the Seat Ateca is already our favourite small SUV. In the face of strict competition from the Nissan Qashqai - a former What Car? Car of the Year - Kia Sportage and Hyundai Tucson, the Ateca impresses with its sharp handling and low price tag. 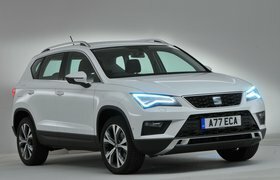 Buoyed by its success with the Ateca, Seat has confirmed that it will launch a second, smaller SUV called the Arona, which is expected to be in UK showrooms in late 2017. It will rival the Nissan Juke, Renault Captur, Vauxhall Mokka and Ford Ecosport, and is aimed at growing families who value the extra space and versatility of an SUV but don't neccessarily need to go off-road. The Arona is one of 12 cars fighting for your vote to be crowned the winner of the What Car? 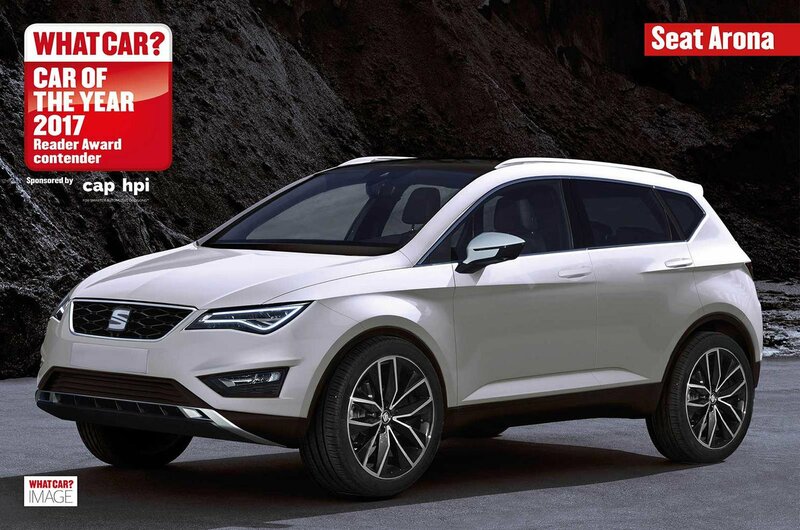 Reader Award for 2017 - to vote for the Seat Arona, and see the full shortlist, click here. While the Ateca shares its mechanical underpinnings with the Leon family hatchback, the Arona will be based on the smaller Ibiza - a Ford Fiesta rival. That's important, because an all-new Ibiza is also due to be launched next year, as well as a significantly updated Leon. The Arona is expected to be styled in a similar vein to the Ateca, but unlike that car is only likely to be offered with front-wheel drive. The Arona's engine range will be shared with the Ibiza. SUVs remain one of the largest markets in Europe right now, and small SUVs continue to be very popular in the UK. The Captur, Juke and Mokka are all regular sights on UK roads, and the Arona will be going up against all three. It will also compete against some premium small SUVs, such as the Audi Q2 and the Volkswagen T-Cross, a Polo-based SUV that's scheduled to arrive in 2018. The Ateca has already set a precedent for Seat's SUVs representing good value for money. With the range costing from £17,990, it undercuts many of our favourite cars in this market. Seat will be looking to repeat this with the Arona, and given that the Renault Captur and Ford Ecosport cost from £14,745 and £15,045 respectively, an entry-level price of around £14,000 seems likely. That would make the Arona around £3500 more expensive than the current five-door Ibiza. See more of the Seat Ateca in the video below.